Binoculars are one of the most important tools that we use in the field while hunting big game and on the 3D course. Like with any other product on the market, there are many to choose from. 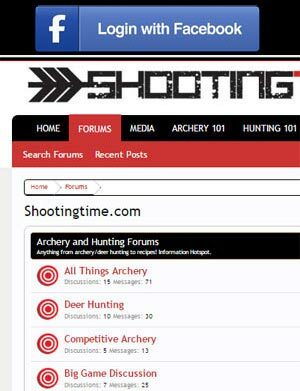 The shootingtime.com staff has owned many different brands and models of binoculars in the past and we can guarantee one thing, not all binoculars are equal. Like with many products, you get what you pay for. Sometimes you get lucky and get a little more than what you pay for. This is the case with the Leupold BX-3 Mojave Pro Guide HD 10×42 Binoculars. Let’s look at what makes these binoculars a great choice for hunters and competitive archers. An excellent performing optic is the result of a quality build and components. 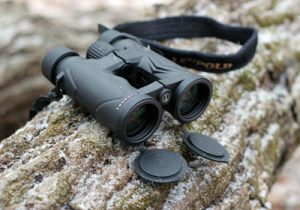 Let’s have a look at the specs and features of the Leupold BX-3 Mojave Pro Guide HD 10x42mm Binoculars. Get the left eye in focus. Pull out the center diopter adjustment dial. Adjust the center diopter dial until the right eye is in focus. Push the center diopter adjustment dial back in. Once dialed in, you’ll notice the HD clarity and the excellent field of view that the 6.2° angle of the Leupold BX-3 Mojave Pro Guide HD binoculars provides. The smooth focus of these binoculars let us zoom in on our subjects with pinpoint precision. The eye cups are very easy to use and help provide a strain free viewing experience. vibrant colors, especially during low light conditions. As the Sun was setting, the Nikon we were comparing it to was more grayscale while the Leupold BX-3 Mojave Pro Guide HDs still had colors that popped. 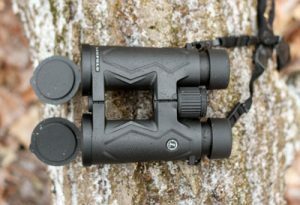 Overall, we were impressed with the clarity, vibrant colors, wide field of view, and the usability of the Leupold BX-3 Mojave Pro Guide HD binoculars. If you’re in the market for a great set of binoculars that are backed by a great company, give the Leupold BX-3 Mojave Pro Guide HD 10×42’s a try. On top of their great performance, Leupold binoculars are backed by the Leupold Gold Ring Full Lifetime Guarantee in the rare event that an issue occurs. For more information on the Leupold BX-3 Mojave Pro Guide HD 10×42’s and other Leupold products, visit their website at https://www.leupold.com. 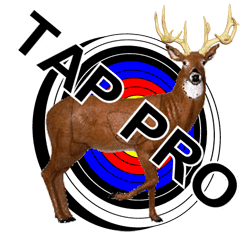 We recommend the Leupold BX-3 Mojave Pro Guide HD 10×42 binoculars for all your hunting and competitive archery needs.